Unboxing/Review: February 2018 Loot Crate DX – AiPT! Wonder Woman, Black Panther, and more inside this months Loot Crate DX! The funny thing about Loot Crate boxes are when they arrive you open them so fast the experience is dulled. That is unless you unbox them for your viewing pleasure! In cases like this, we wait till the camera is ready to film so you can experience the unboxing just like us. 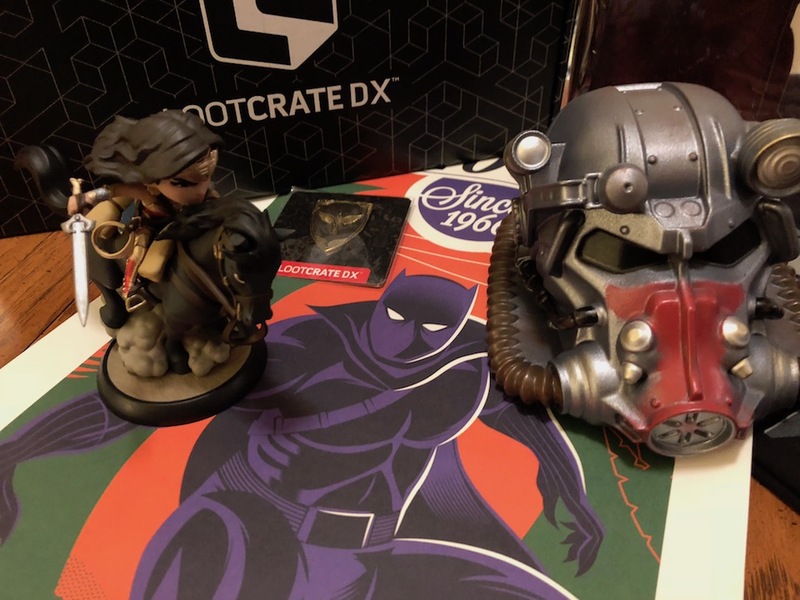 Check out our unboxing of the February Loot Crate DX below to see what goodies arrived. As you can see this box was pretty sweet. The Wonder Woman statue is quite nice and well made. Making it easily displayable in any home. The long sleeve shirt is cool looking, but if you’re not an Overwatch fan it may go over your head. The Black Panther poster is pretty cool, but it’s made of thin and cheap paper which means you either gotta frame it or it won’t make it till Tuesday. Rounding out the box is a Fallout piggybank which is well made and painted. The pin, we think, doesn’t belong to any specific series. It’s cool none the less. Overall we dug this box with unique and varied items that should make most fans happy. A solid box with a variety of things to wow most fans.